Not long ago we had the pleasure of announcing that we now stock Novation gear here at Wembley. For those of you who are familiar with Novation’s equipment, you won’t be surprised by our excitement, but for those of you who are unaware, or are unsure if Novation is for you, here’s a brief introduction. You, meet Novation, Novation, meet you. 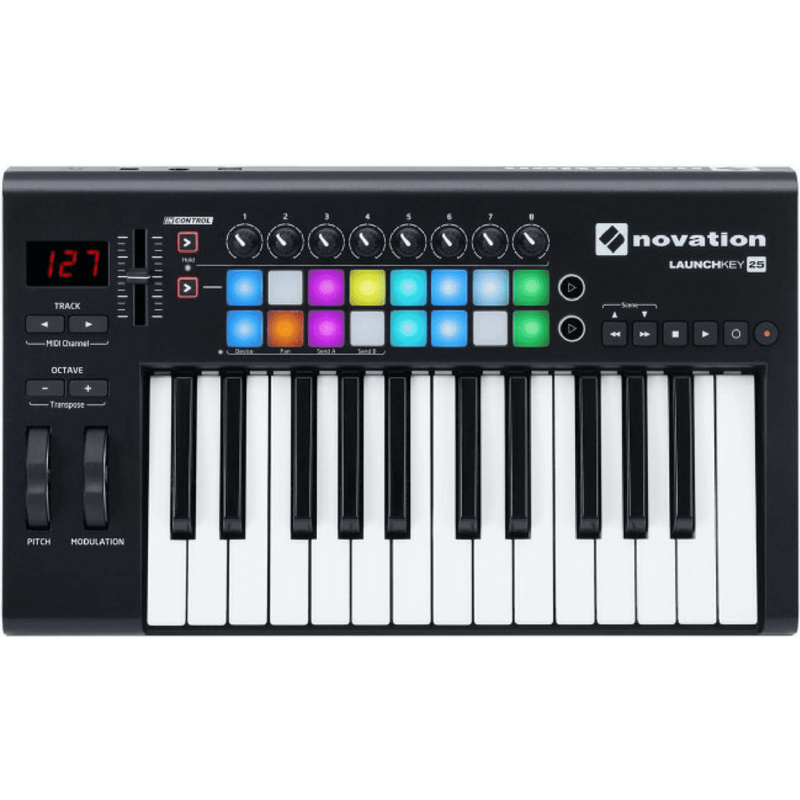 Novation is a British company that specialises in keyboards, midi controllers, and synthesisers. Considered as one of the leaders of live electronic performance, you may have already heard the names of some of their more popular products, such as the Launchpad or Launchkey or the Circuit. Though Novation have a huge range of products to cover all bases, we’ve chosen to stock, what we believe, are the best of Novation here at Wembley. 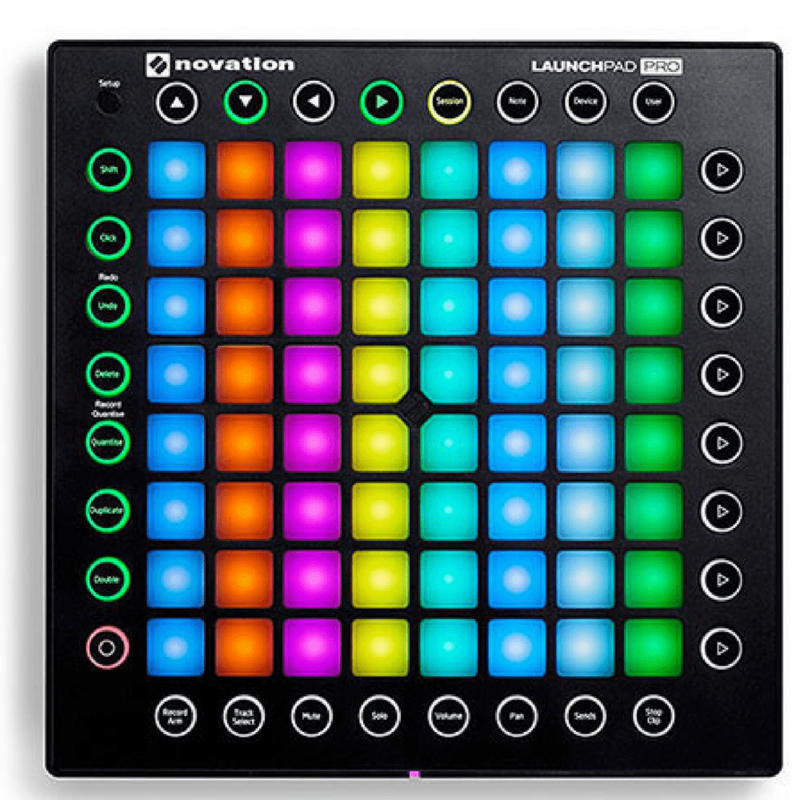 Launchpad is an 8x8 grid controller, designed primarily to control Ableton Live. The Launchpad gives you the control to trigger clips, play beats, control external hardware while still controlling effects, panning and dynamics. I won’t go into a great deal of information, as we have this handy video for you here to find out everything you need to know about it! LaunchKey is similar to the Launchpad, in that it is designed to control Ableton Live Lite. However, this product serves a very different purpose. Whereas Launchpad is a grid-based controller, Launchkey is based around a keyboard, 25, 49 or 61 keys. It does still include 16 pads, but also has 8 knobs, 8 faders, and various other controls. As the keys are not weighted, the Launchkey is incredibly portable, providing a very stable plug and play controller. 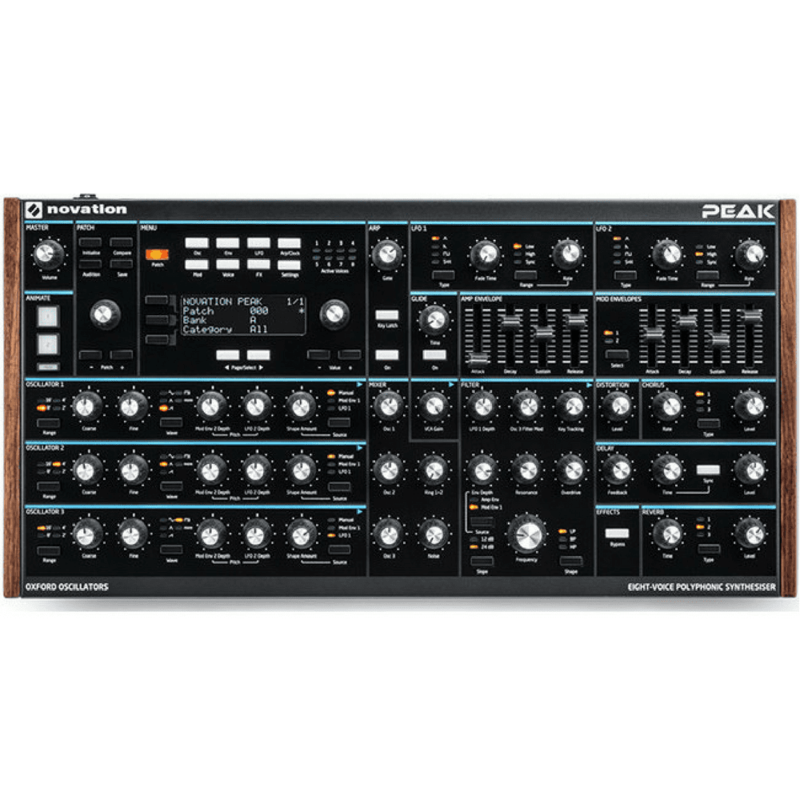 Unlike the Launchpad and Launchkey, the Peak is a a synthesiser rather than a controller. It fuses analogue, and digital, by providing an authentic sound from the three New Oxford Oscillators for each of its 8 voices. There’s an analogue filter for every voice, distortion for each voice at pre-filter, post-filter and and global, and also reverb, delay and chorus. There’s plenty more, but again, I’ll let the video explain. 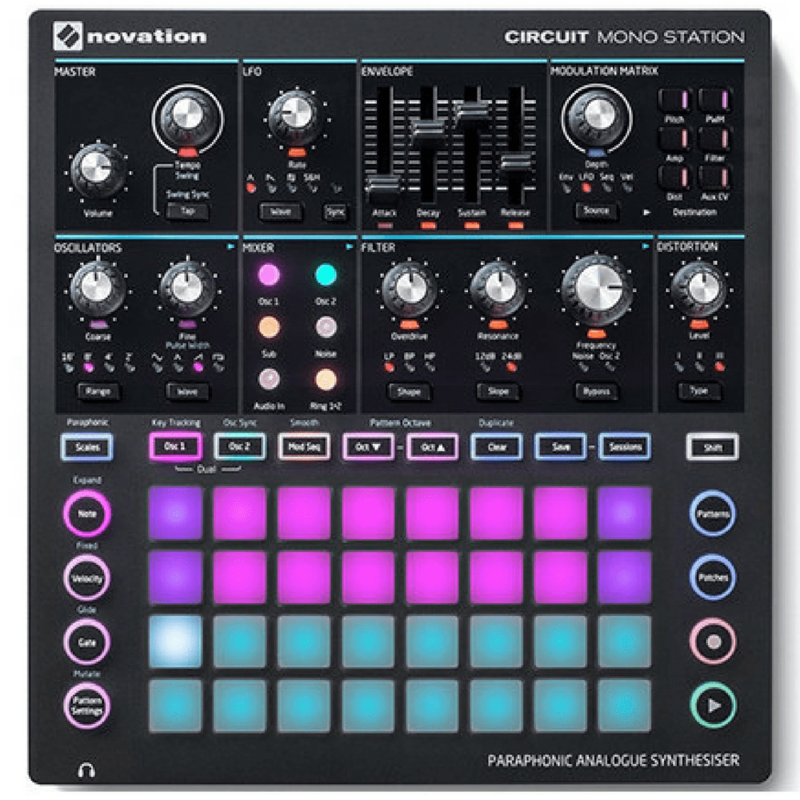 The Circuit Mono Station is a real stand out synthesiser. This time, the synth is grid based. With 64 synth patches, and 64 drum patches, 8 synth macro controls, 4 drum paramter controls, 16 delays, 8 reverbs, 7 sidechain effects, all before we throw into the mix the powerful sequencer, you can see that the Circuit Mono Station will have you completely covered! Curious to find out more? Come in store to talk to our team who will assist you in choosing the ultimate gear!